See Luxor’s top attractions in one day on a guided day trip from Aswan. After a drive through the lush Nile Valley, tour the key sites of what was ancient Thebes as a qualified Egyptologist guide recounts their stories and secrets. Travel to the West Bank to visit age-old pharaonic tombs at the Valley of the Kings, and see the stunning Temple of Hatshepsut and Colossi of Memnon. 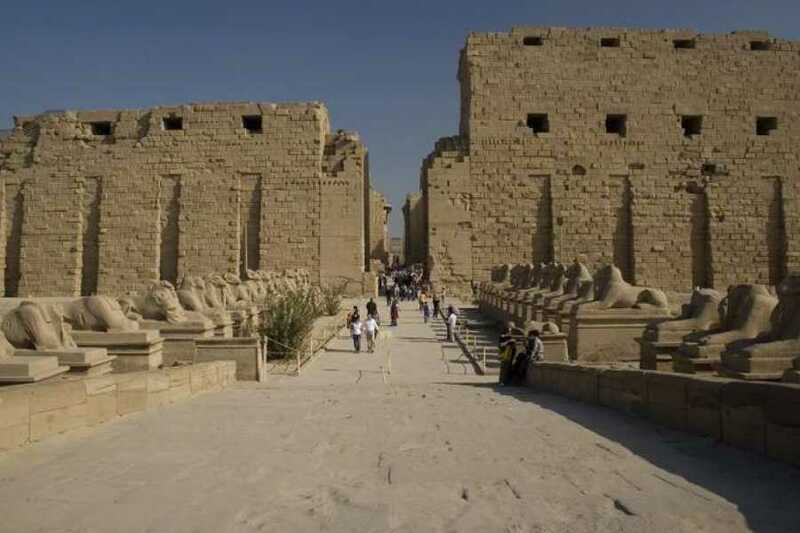 After lunch, switch to the East Bank to explore awe-inspiring Karnak and beautiful Luxor Temple. Hotel pickups and drop-offs included. The day begins at 7am, when you're collected from your hotel or cruise ship in Aswan in private, air-conditioned vehicle for the 3-hour journey north to Luxor. Start your Luxor day tour on the West Bank of the Nile. Visit the dramatic Valley of the Kings, home to the rich and magnificent tombs of some of Egypt's greatest rulers, and explore a selection of these gorgeously decorated burial places. Next, drive to the vast, cliff-cut Temple of Hatshepsut, the female pharaoh who ruled Egypt around 3,500 years ago, and is often represented with a man's beard. Finish your West Bank tour with a visit to the gigantic Colossi of Memnon, huge seated statues of the pharaoh Amenhotep III that adorn the remains of his funerary temple. Take a break for a full lunch at a local restaurant (please note that beverages are not included), before exploring the East Bank. Visit the sprawling complex of Karnak Temple, with its striking reliefs, and wander through the tall colonnades of Luxor Temple, built by Amenhotep III and completed by Ramses II. Your guide will explain the temples' history. You'll leave Luxor at 5pm and be back at base around 7pm.